Here's just a sample of wellness events we have worked on over the past 12 months. We were invited down to Somerset House to participate in the 'Are You Employment Ready?' event, organised for third year B.A Design Students. Part of the brief was to educate them on good nutrition and how to eat for a high energy day, without falling into the trap of over indulging on sugar and caffeine as many students often do. Inset is Lily Soutter, Nutritionist, providing tips on affordable healthy snacks. The Wellness Movement were present at the Annual Fashion Industry Update Event, held at the Ace Hotel, Shoreditch. We were asked to provide a Mindfulness Pop-Up for the duration of the lunch break for the delegates. 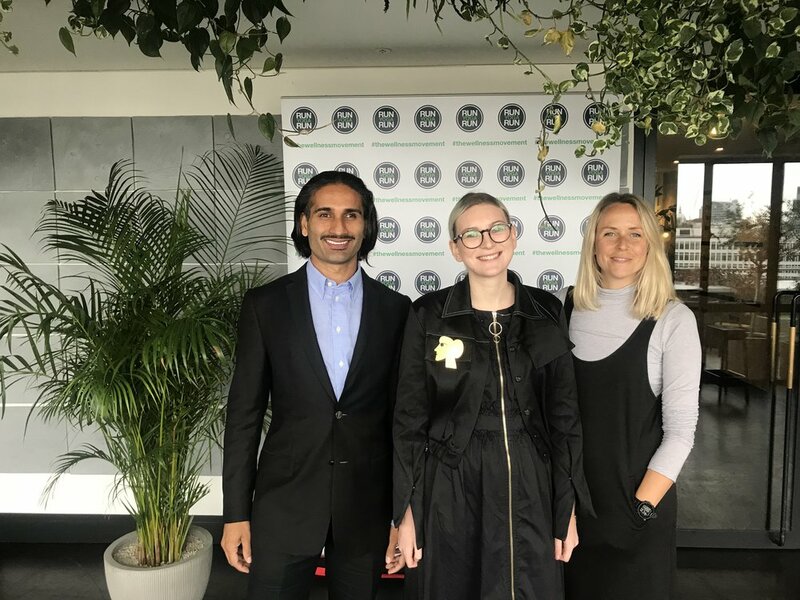 Inset is our Founder Sha Hussain with Alex Bunting (Education Co-ordinator, BFC) and Sarah Curtis (Psychotherapist and Counsellor, Move You Mind Therapy), who assisted at the event. Award Winning Artist 'Martin Morris', took a class of media professionals through their paces with a creative led Life Art Class. Martin has a knack of getting the best out of his pupils, bringing out creativity which may have lain dormant for years inside individuals. He gives permission to fail, and in turn sees his pupils thrive under his tutelage. On Wednesday 14th February we presented an emotional well-being talk on the topic of Positivity and Self Belief at ITV Television Centre, London. Dr Sheri Jacobson, Clinical Director of Harley Therapy presented the talk. 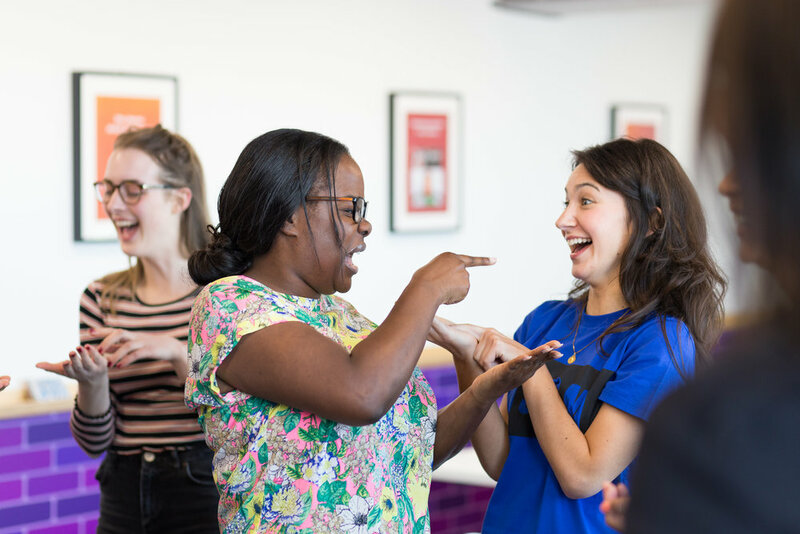 Attendees were also taken through some exercises 'gratitude and visualisation', empowering them to take charge of their psychological well-being and helping them to build a self-help toolkit! Watch the video to learn more and experience emotional well-being and positivity. We presented a talk on the topic of Emotional Wellbeing at leading creative agency Proximity London. The talk included 1) What are the most common issues we face, 2) How to build a self-help toolkit, and 3) Mindfulness exercises. 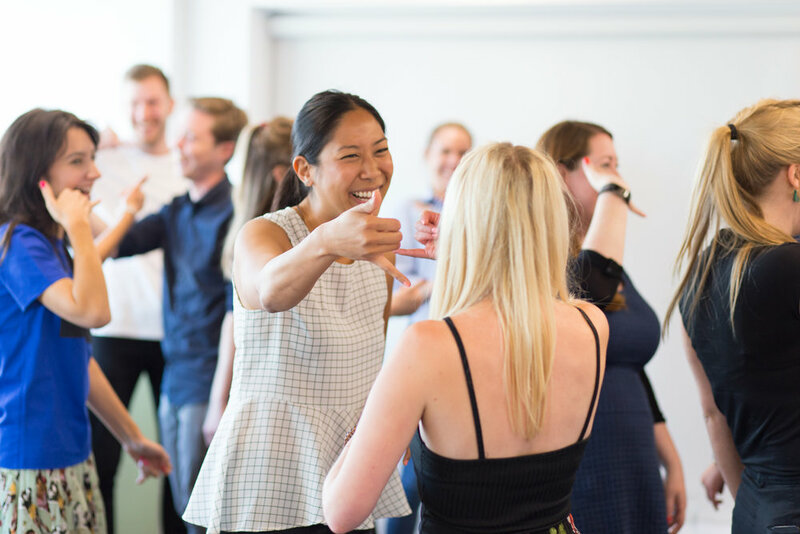 Proximity have just been crowned 'best place to work' out of all the leading agencies in the UK - What an achievement and it's easy to see why when they are actively engaged in offering innovative and on-trend wellbeing perks to their 230 strong team based in Bankside, London. Corporate Laughter Workshop at media and technology agency Wavemaker UK. A great workshop to promote healthier working relationships and team bonding. Laughter decreases the stress hormone and increases immune cells and infection-fighting antibodies, thus improving resistance to disease. Laughter triggers the release of endorphins, the body’s natural feel-good chemicals. Endorphins promote an overall sense of wellbeing and can even temporarily relieve pain. Speak with us today to find out more about this workshop. 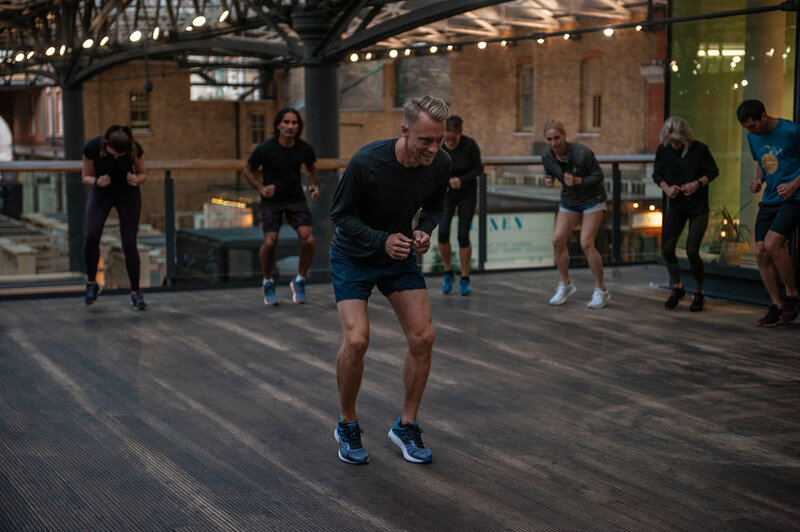 Royal Parks Half in association Royal Bank of Canada and Lulu Lemon invited The Wellness Movement to facilitate a takeover at their store in Spitalfields, London. 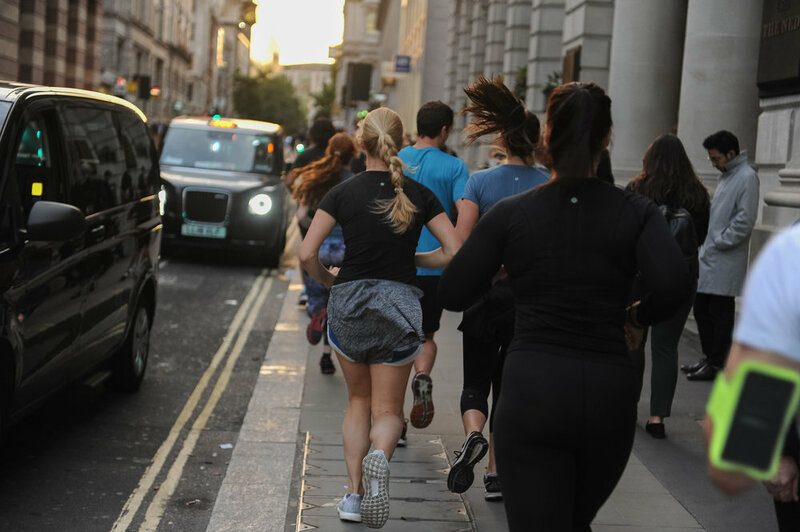 We spoke to 20+ professionals from the corporate sector about wellbeing at work, who were training for the Royal Parks Half Marathon and took them on a 5K training run around a scenic city route and then back to the store for a yoga for runners session, followed by a healthy meal and refreshments. Running and Yoga packages are popular for organisation’s looking to keep their workforce fit and healthy and promotes good interpersonal relationships between colleagues.